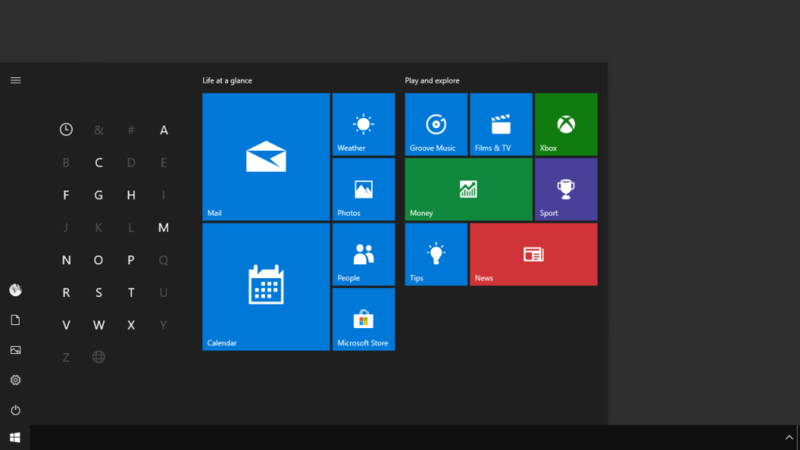 Previously I’ve written about how you can Manage Live Tiles in Windows 10, but what about the rest of the Start Menu? Let’s have a look at the hidden and useful functionality contained within it that can help you get more from your PC. 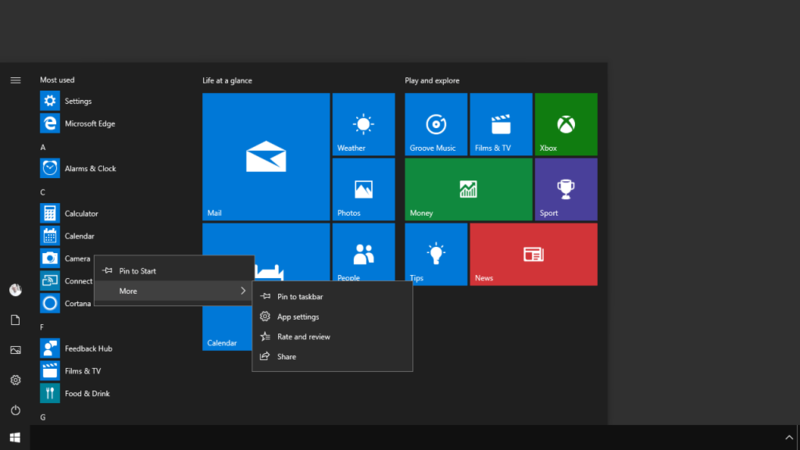 The Start Menu consists of three sections, on the very left is a series of vertically-arranged icons from which you can control power, settings, pictures, documents and your user account such as signing out, switching users, and changing your account settings. The main installed Apps Panel is an alphabetical list of all your installed apps. This can be complex to navigate though, so there are two ways to quickly find the apps you need. You can just start typing the name of an app, or a feature that is associated with an app such as typing pdf to find a PDF file reader, and the results will appear in the Start Menu in a search box. Additionally you can click any of the alphabetical letter headers (A, B etc.) to display a full alphabet with every letter that has app(s) beneath it highlighted. You can click any letter to instantly switch to the apps beginning with that letter. If you right-click on any app in the Apps List various options will appear. 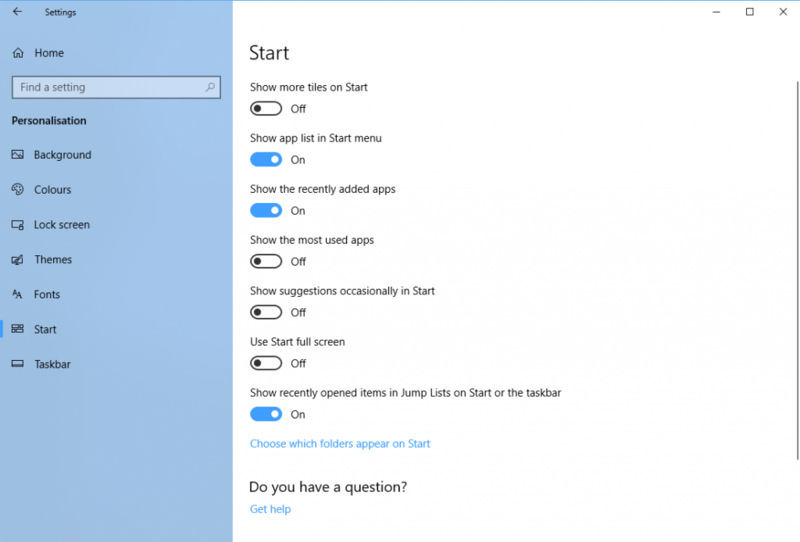 These include being able to pin apps to the Start Menu as tiles, or to the Taskbar. From here apps can also be uninstalled, you can open settings for many apps, and you can share the app with friends or colleagues. If you want finer control over the Start Menu, open Settings > Personalisation > Start and you will see additional options, such as expanding the Start Menu to show more tiles, to hide the app list, of use the Start Menu full screen. 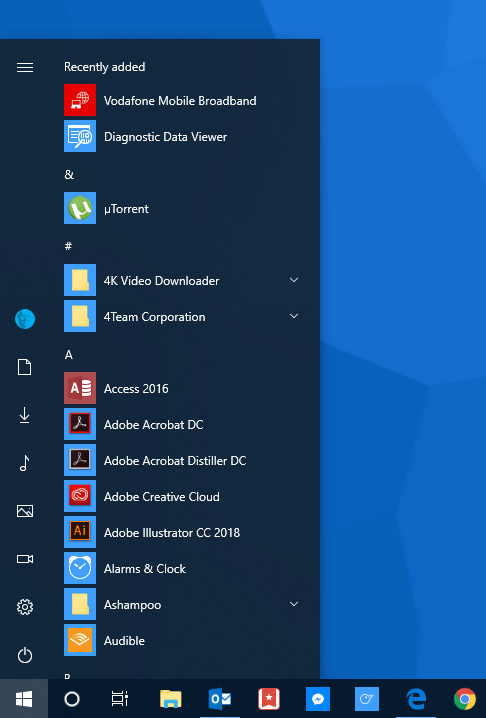 If you click the Choose which folders appear on Start link you can also choose which of your user and other folders appear on the left side of the Start menu above the power button. Sometimes people don’t want to have Tiles on their Start Menu, and want something slimmer and simpler instead. You can right-click on any tile and select Unpin from Start to remove it. With all your tiles removed you can grab any outer edge of the Start Menu and drag it to make it slimmer, wider, taller, or shorter. Microsoft Windows has always been extremely customisable and configurable, and Windows 10 and the Start Menu are no exception. With just a few minutes work you can have it looking and working as you want, and this can make using your PC a much more pleasurable experience.